Food writer and clinical psychologist Scott Haas wanted to know what went on inside the mind of a top chef-and what kind of emotional dynamics drove the fast-paced, intense interactions inside a great restaurant. To capture all the heat and hunger, he spent eighteen months immersed in the kitchen of James Beard Award-winner Tony Maws's restaurant, Craigie on Main, in Boston. He became part of the family, experiencing the drama first-hand. Here, Haas exposes the inner life of a chef, what it takes to make food people crave, and how to achieve greatness in a world that demands more than passion and a sharp set of knives. 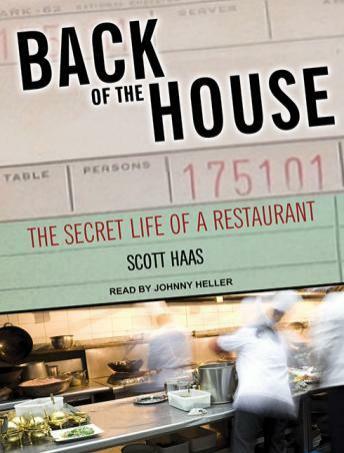 A lens into what motivates and inspires all chefs-including Thomas Keller, Andrew Carmellini, whose stories are also shared here-Back of the House will change the way you think about food-and about the complicated people who cook it and serve it.